london 2012 | Run Inspired. Running is like life. 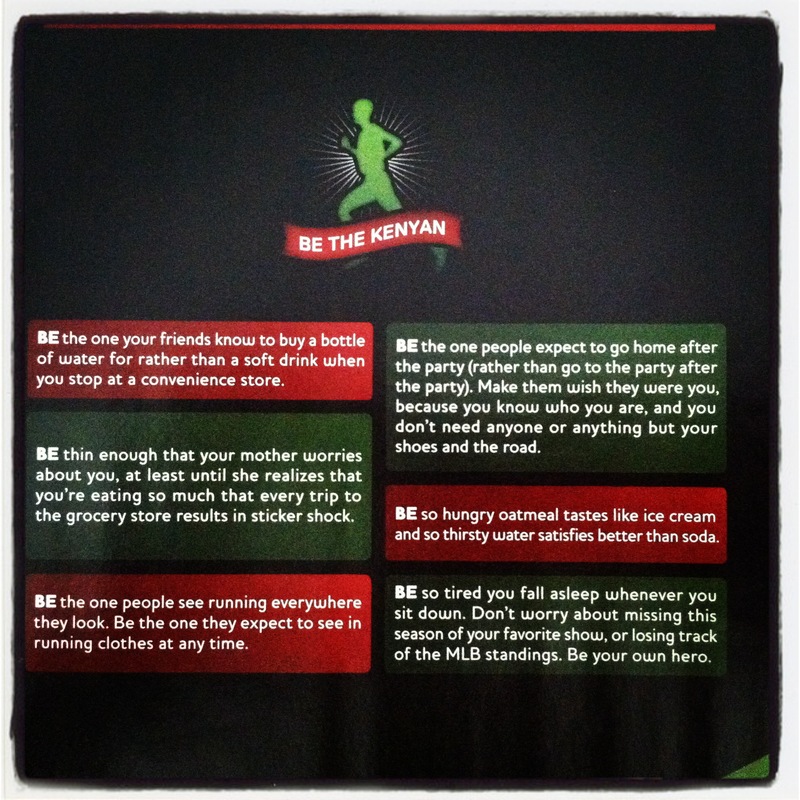 You start at the same place with your fellow runners. You all finish at the same place. How you do is largely up to you. If you win, you congratulate your team and yourself. If you lose, you evaluate how to improve. You can’t make excuses like “He didn’t pass me the ball” or “The coach didn’t put me in.” It’s on you. That’s the beauty of the sport. 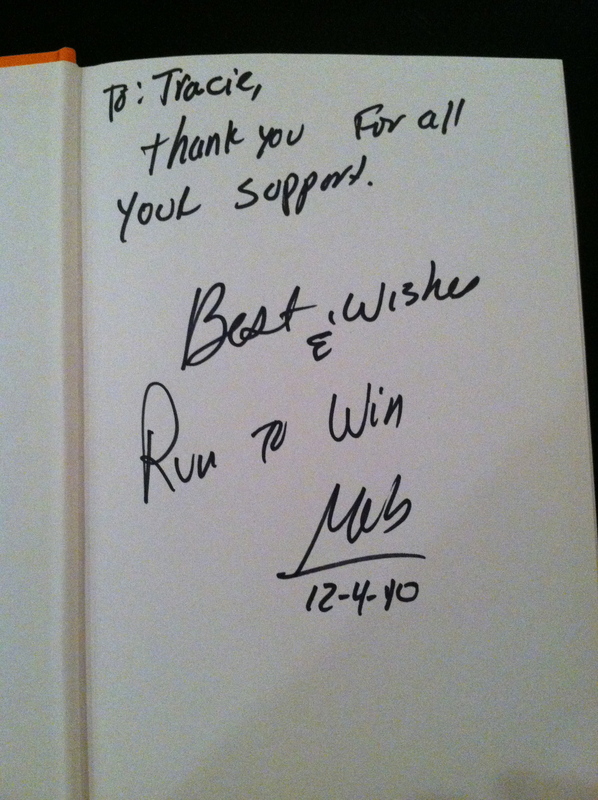 December of 2010 my cousin Dan waited who knows how long, to get me a signed copy of Meb’s book, Run to Overcome. I read it in a day. 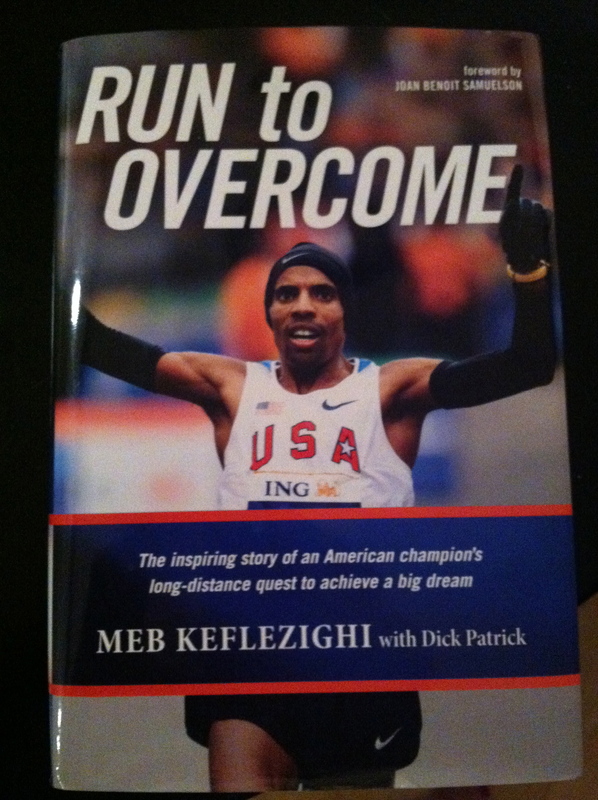 Meb’s story fascinated me and inspired me. And after his amazing finish on Sunday, I am reminded of why I admire him as a human being and as an athlete. Meb has suffered. He has gone through very difficult times, overcome many hardships, but has continued to have that awesome smile on his face. He is strong, hard working, genuine, and above all, an incredibly positive person. When Meb was 6 years old, his father left Eritrea and walked 225 miles to Sudan’s border in order to provide a better life for his family. Meb possesses that same love and determination. The book is a reminder to us all that life is what we put into it, love is selfless, and staying positive in the face of adversity will carry us to the next day. Read the book if you get a chance. Meb is a true inspiration. Then you should watch this Citi commercial. Meb’s WHOO at the end makes me smile every time I see it. Thanks to Dan for my signed copy! Happy Trails and Happy Running ! I love the Olympic commercials, in particular the Visa Olympic commercials. No matter how many time I see them, I still get chill bumps listening to Morgan Freeman narrate Michael Phelps’ one hundredth of a second gold medal win or Nadia Comenci’s perfect 10 performance. But my favorite one is of Lopez Lomong – a former child solider who escaped Sudan and lived as a refugee for 10 years before coming to America. If you haven’t seen it, watch it here. It’s only 30 seconds. Lomong was one of 27,000 Lost Boys of Sudan — boys displaced, orphaned, or country-less, during the long and brutal Second Sudanese Civil War. He was also one of nearly 4,000 Sudanese who were granted the opportunity to resettle in the United States through a UN-U.S. partnership initiative. The United States has the biggest resettlement program, capable of resettling up to 76,000 refugees a year. 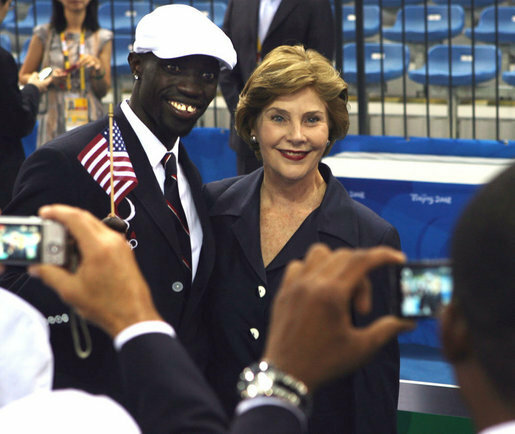 In 2007, Lomong became a U.S. citizen and made it to the Beijing Olympics the following year in the 1500 meter track event. This is why I love the Olympics. Not only to witness the incredible athletic accomplishments by people but to learn all that they had to overcome to get to that point. It is truly amazing and it continues to inspire me everyday. The fierce Kenyan-Ethiopian rivalry renewed itself Friday, and the result in the women’s Olympic 10,000 meters was as reliably predictable as it was four years ago: Ethiopia’s Tirunesh Dibaba again drew away with a punishing kick to win the gold medal and perhaps establish herself as history’s greatest female distance runner. If you did not get to see the women’s 10,000 meter race on Friday, you definitely need to go back and watch it. Here is a link to the video, and if you do not have time to watch it all, just make sure to watch the last two laps. With the sound of the bell indicating the last lap, Tirunesh Dibaba took off as if she were shot out of a cannon. What started out as a group of three runners right before the last lap, ended up being Dibaba smoking the rest of the competition. 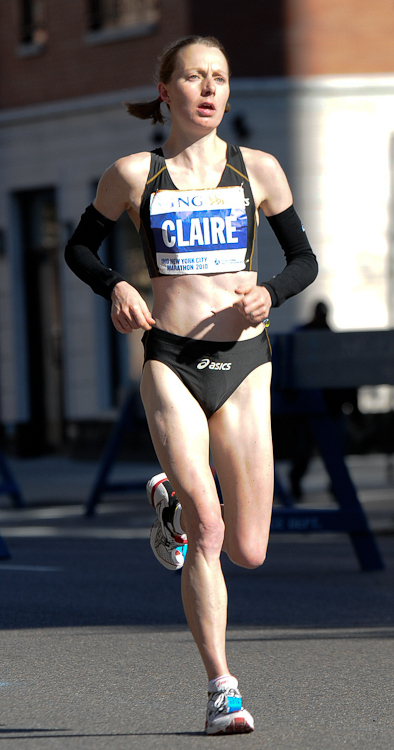 In fact, she ran the last lap in 62.08 seconds, finishing almost a half a lap ahead of the next two runners. The two Kenyans who were in it with 1 lap to go, never even had a chance. Dibaba also has the world record in the 5,000 meters, 14:11:15, which she set back in 2008. She will also be making another attempt at the gold medal in the women’s 5,000 meters this Friday (which she won at the last Olympics.) Being an amazing runner must run in her family, because other than Dibaba, the only other woman to win the 10,000 meters at the Olympics twice is her cousin, Deratu Tulu. I’m looking forward to a very exciting 5,000 meter race. 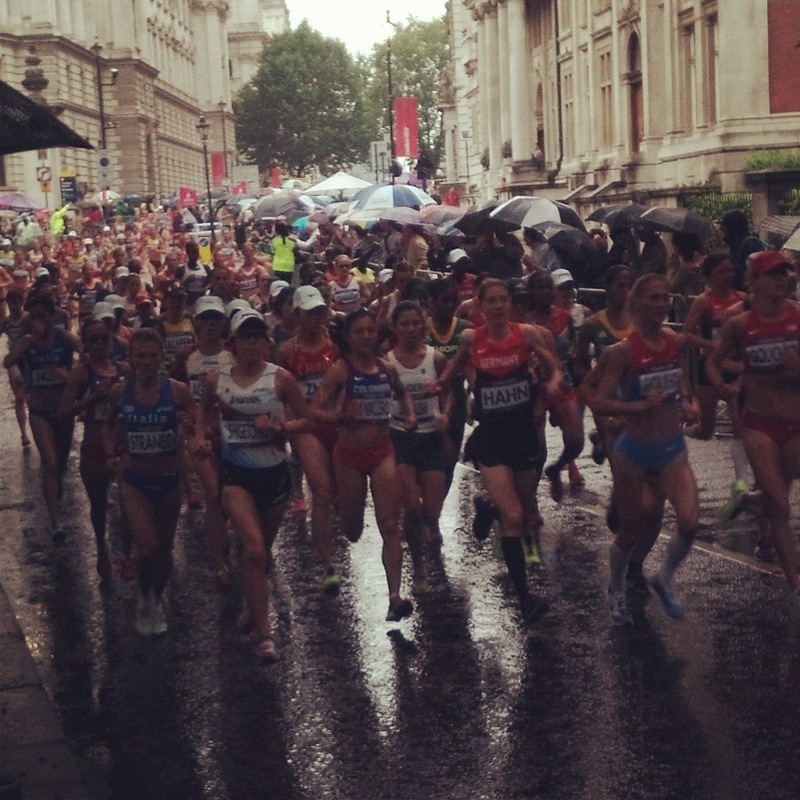 And on a side note, congrats to all of the amazing women who ran in the marathon this morning. The Americans were amazing and watching Kara Goucher and Shalane Flanagan at the end was really an inspiring moment. You ladies are awesome! Yesterday a friend asked me where I found a lot of my information. At first I was a little skeptical about sharing my inside sources, but today I decided to share my go to resource. 🙂 I use Flipboard and if you have an iPad, iPhone, or an Android, you should use it too. It’s an online social magazine that not only has articles from your favorite news sources, but also makes Facebook and Twitter much more visually appealing. I love it. 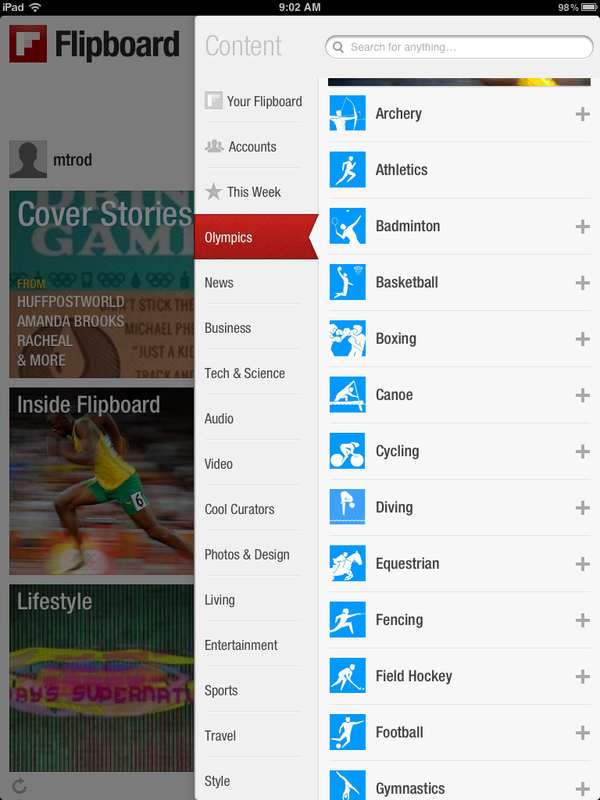 Today I read an article from Flipboard detailing how they are making it easier to follow the Olympics. We’ve created a dedicated section for every Olympic sport – from archery to wrestling, and everything in between. For each sport, Flipboard provides late-breaking Olympics coverage from professional sources like BBC Sports, ESPN, The Guardian, The Telegraph, Bleacher Report, and SB Nation, as well as the very best photography and video highlights our curators can find. 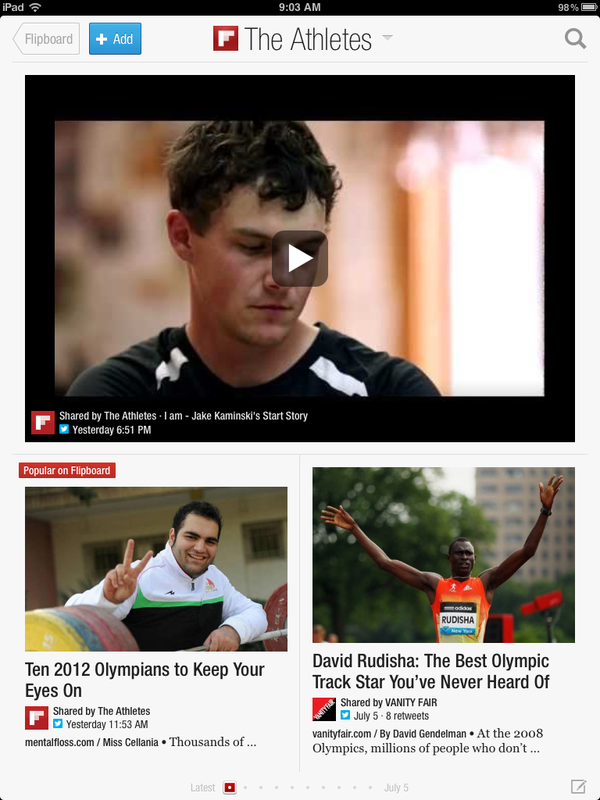 They also have an awesome athletes section where you can read about practically every athlete in every sport. This morning I read about David Rudisha, “the best Olympic track star you’ve never heard of,” and Guor Marial, a refugee who has no country to run for but who is being allowed to run independently under the Olympic flag. 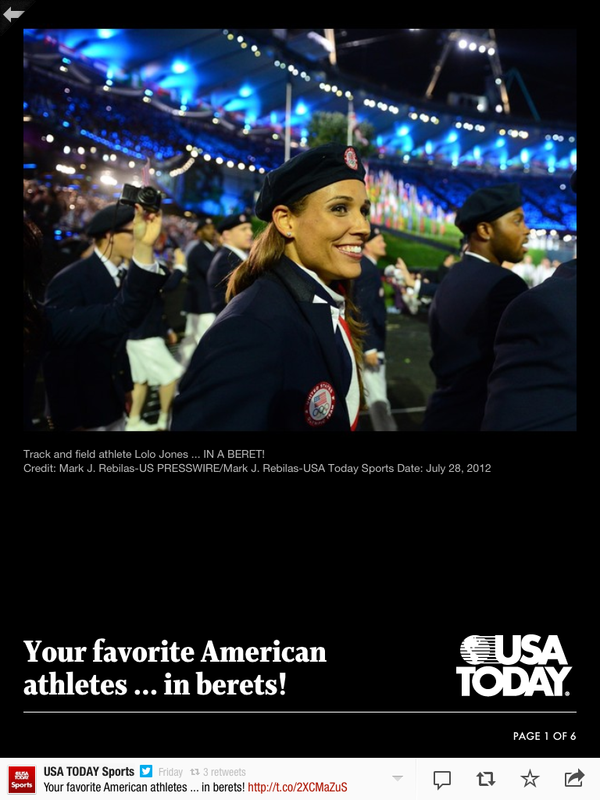 And have you heard about Lolo Jones’ controversial tweet? 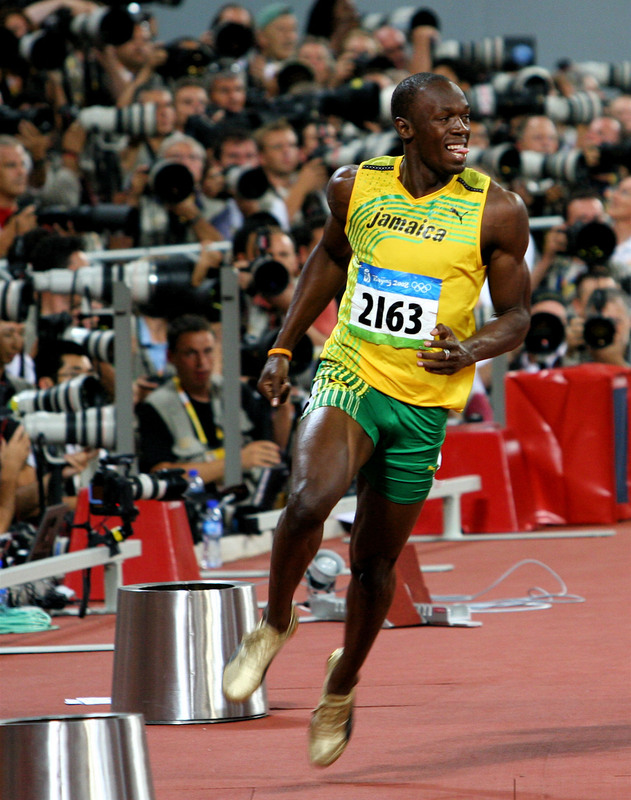 Or how the U.S. track and field team is demanding a change to IOC rule #40? 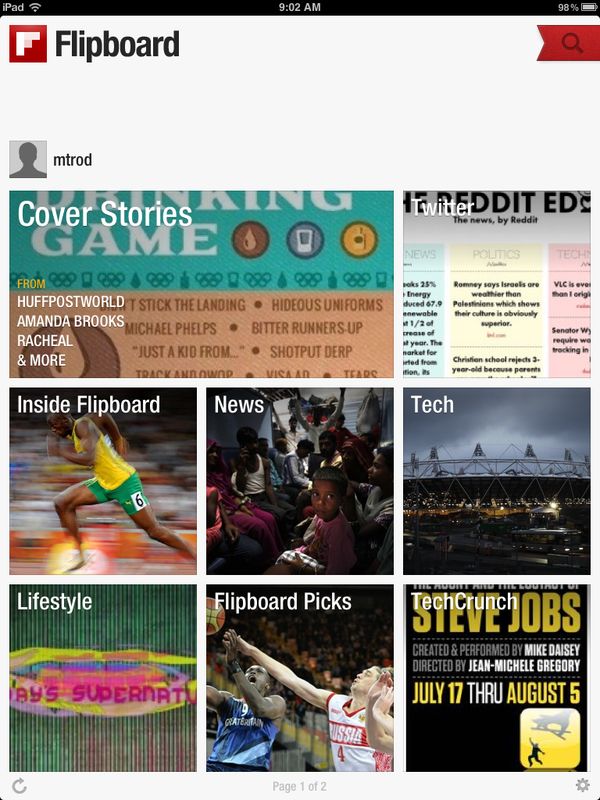 It’s all on Flipboard. Check it out if you get a chance.